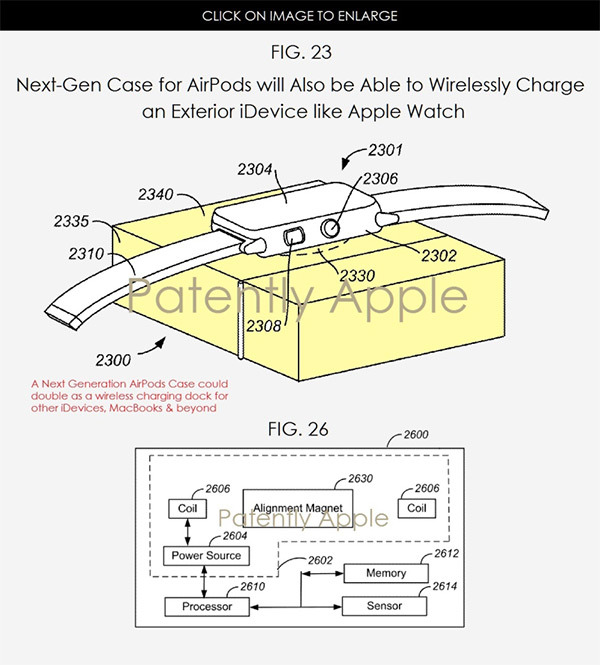 A patent, filed by Cupertino-based Apple last year and published just recently by The United States Patent and Trademark Office (USPTO), provides information on how Apple potentially sees the future of the charging case which accompanies any purchase of the wireless Apple AirPods. 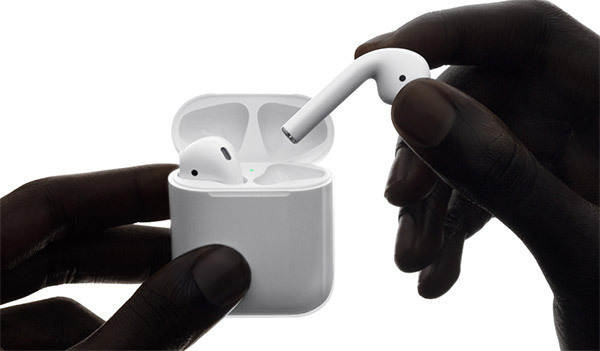 At present, the AirPods charging case is used to do exactly what it says on the tin, charge the AirPods, but this new information suggests that Apple also envisages it being used as a charging option for iPhone and Apple Watch. For the first-generation AirPods, the accompanying charging case does exactly as intended as per its design, but Apple clearly sees a future where it could be extended to provide additional value to the company’s ecosystem of products. The charging capabilities wouldn’t stop at just AirPods and Apple Watch, either. The included information suggests that there could indeed be multiple ways for devices to be connected directly to the revamped charging case in order to take advantage of its internal battery capabilities. These new methods would in fact mean that Apple’s other devices, such as iPhone, iPad, iPod touch, or even MacBook, could be connected seamlessly to the new hardware in order to be charged with minimal fuss, effectively making the new charging case an extremely portable, and extremely versatile power bank on the move. In addition to extending the functionality capabilities of the case, Apple also details a future where the charging case itself could actually be waterproof in order to provide a greater level of protection to the embedded AirPods hardware. Apple notes that In various embodiments the liquid-tight seal shall be rated between 3 (spraying water) and 6 (powerful water jets) while in some embodiments the liquid-tight seal shall be rated between 4 (splashing water) and 7 (immersion up to 1 meter). In various embodiments the liquid-tight seal shall be rated between 5 (water jets) and 8 (immersion beyond 1 meter) while in some embodiments liquid-tight shall mean the seal will protect the electronic device against liquid ingress up to 100 feet for 30 minutes. Of course, as we have learned previously, a submitted patent isn’t always indicative of new technology that will ultimately make it into an Apple product, but this one is definitely an interesting proposition that doesn’t seem to come with many downsides.